About Us - Aijia Communication Co., Ltd.
Shenzhen Ai Jia Communication Co., Ltd. was founded in May 2008, is a professional R & D, production and sales of telecommunications manufacturing enterprises, China has become a large supplier of communications antennas and communications products business agent. Corporate headquarters - Nanshan District, Shenzhen, Guangdong, China. Company's products are mainly for the antenna, followed by RF passive components and many other varieties. One antenna products: 3G, SCDMA, CDMA, GSM and PCS base station antennas, repeater antennas; indoor coverage antenna; broadband antenna; terminal antennas;, microwave antennas; beautification antenna; 2.4/4.9/5.1/5.5/5.8GHz WLAN , WiFi antenna, 1.5/2.6/3.5GHz WiMAX, fixed wireless access antennas; RF passive components are: splitter, couplers, filters, diplexers, circulators, isolators, lightning arrester, combiners, etc. . 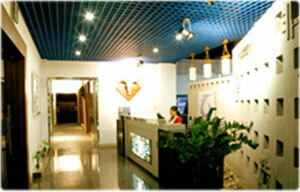 I have all the company's products are independent R & D and production. The company the industry's popular structural analysis software for microwave antenna design, microwave circuit and system design software for the development of microwave circuits and devices. College for many years with the company's domestic and foreign scientific research units, research and development of a large number of high-tech new products. In the country has with China Telecom, China Mobile, China Unicom, Huawei, ZTE and a number of communications carriers and communications equipment manufacturers; in international trade, exports a large number of antennas in North America, South America, Western Europe, Eastern Europe, East Asia, Southeast Asia, the Middle East, Africa, Oceania and other countries and regions.